Hello, I’m Marianne Tenenbaum for Once a Day Marketing™. 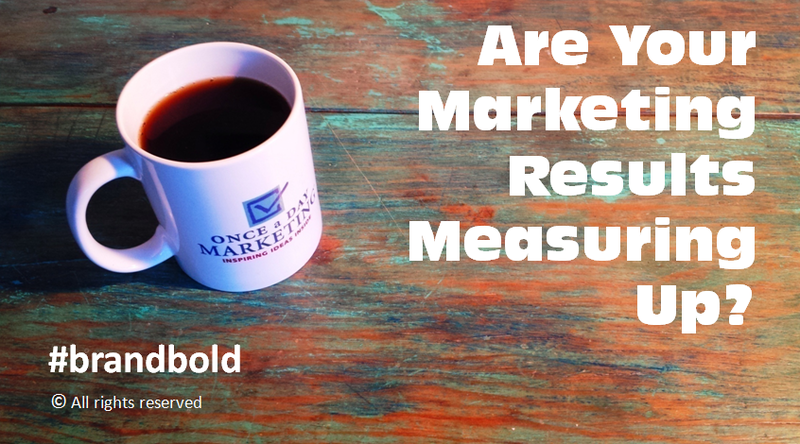 We’re starting the new year looking at measuring results of your marketing campaigns. A popular maxim in process improvement says you can’t improve what you don’t measure. This applies to marketing efforts as well. How are you determining the success of your marketing campaigns? Do you judge results by how you feel? Are you looking at sales improvement or something else? If you aren’t measuring results with meaningful data you may not have sufficient insight into how campaigns and channels are performing compared to expectations and, most importantly, where to focus those limited marketing dollars. As you are developing your next advertising campaign, establish goals for a few simple statistics such as response rate, increase in online or in-store traffic, number of items sold or gross sales that make sense for your business/product. When the campaign launches, ensure there is a process in place to gather results. Begin reviewing the performance of the advertising at the close of the campaign and compare that data to the goals you established. As you continue to measure, you will accumulate fact based information that will enable you to direct your marketing to leverage the strategies that are driving the best results.